Compatible with: MacBook Pro 17" Aluminum Unibody Model: A1297 - Release Year 2011, 2010, 2009 MC725LL/A, MD311LL/A, MD311B/A, MC024LL/A, MB604LL/A, MC226LL/A. MacBook Pro 17" Aluminum Unibody. MacBook Pro Soft Touch Hard Case. NEW 17 " CALVIN KLEIN WHITE LAPTOP SLEEVE CASE POUCH COMPUTER. Compatible: 17 ". Color: White. 17" PowerBook & MacBook Pro (Silver) Case. All 17" PowerBook & 17" MacBook Pro. The ultra soft neoprene interior will not scratch your laptop. 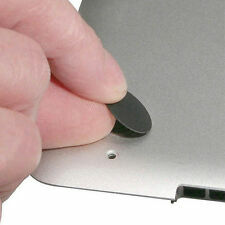 Double Velcro closures add security. Each sleeve is accented with genuine leather piping to prevent tearing or fraying. Carrying options include top-oriented padded handles, a removable shoulder strap and a pass through panel for use on rolling luggage. The perfect case for people on the go. 1 unit - Pro LT17 laptop computer case. Product Line Dritta. Manufacturer Tucano. Slim, compact bag sized to fit 15.6" noteboooks and 15" Ultrabook, with practical organization for everything else you need to carry. Carrying options include shoulder strap or top handle. Booq Vyper XL Sleeve for Apple PowerBook. We sandwiched durable, semi-rigid high density foam between a layer of 1682D cross-weave ballistic nylon on the exterior and a super non-scratch lining on the interior - an effective blend. Preowned Black Pelican 1495 Laptop Case, fits 17” MacBook Pro. Condition is Used. Shipped with USPS Priority Mail. Case-Mate for MacBook Pro-17 (silver). 4pcs Unibody Bottom Case Rubber Feet Foot Pad For MacBook Pro 13" 15" 17"
UItrabook shoulder bag carry case pouch for macbook pro Air 11.6 12.9 13 15 17"
Laptop Soft Sleeve Bag Case Pouch For Macbook Pro Air Retina 11.6 12 13.3 15 17"
MacBooks are considered stylish and powerful laptop computers thanks to Apple's world-class operating system and proprietary software. To help you find the right case to protect your laptop, check out the following questions about the many affordable MacPro 17 cases available on eBay. What style of cases are there? Artwork - Get prints of classic artwork on your MacBook case, including Van Gogh's "Starry Night." Floral - Inspiring floral patterns are available in a multitude of colors and designs. Maps - You can purchase laptop cases with a variety of different maps printed on them. Clear - For a sleek look, many shoppers choose a see-through case. They are protective while maintaining the look of the case without the case. How do you purchase the right MacBook case? Choosing the right used or new MacBook Pro case is as simple as knowing how big your laptop's screen is. Each case is specifically designed to snap into place on its corresponding laptop with the only variable being the screen size. Usually, the size of the case is indicated in the model number of your laptop with a 13, 15, or 17, which is located in macOS, on the computer's surface, and on its packaging. 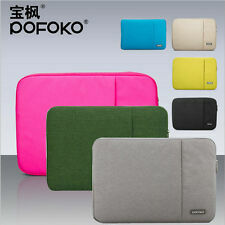 Once you've found your laptop's size, you can choose a case based on the color or pattern you like the most. 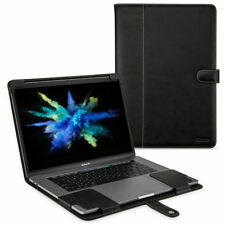 What are the features of MacBook Pro 17 cases? The MacBook Pro 17 cases are designed to protect the computer while still leaving the ports available for use, including the HDMI, USB, and headphone inputs. There are cases designed for travel that will cover these inputs to protect them while you are on the go. The case is also vented on the bottom, preventing the computer from overheating while it is in use. Will your laptop slide around in a laptop case? These laptop cases have rubber feet on each corner of the bottom of the case to ensure that the computer will not shift or slide while you are using it, helping to keep it safe. 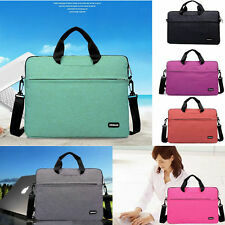 Many of these cases are also waterproof, meaning the case is designed to protect the laptop from spills.